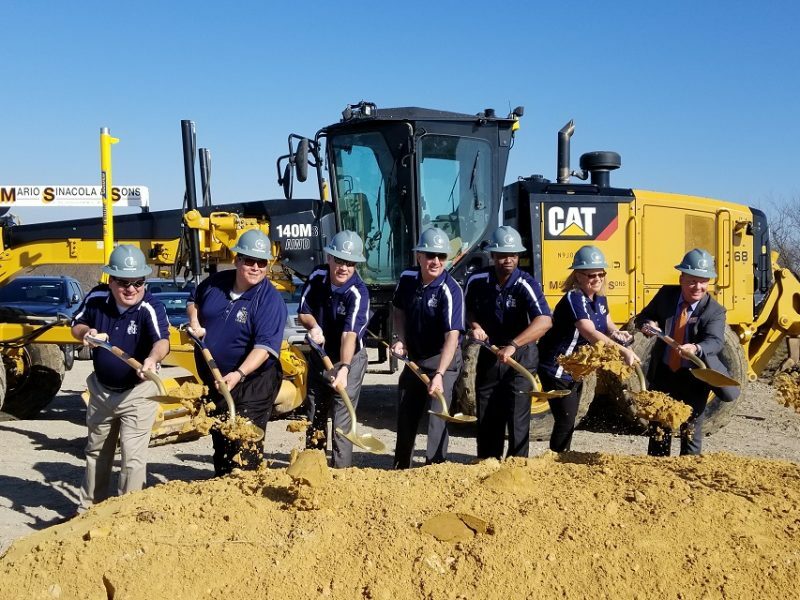 Little Elm Independent School District officials broke ground Monday for two new schools at Eldorado Parkway and French Settlement Road in Little Elm and Lebanon Road in The Tribute community within The Colony. These sites will be the locations for Jerry R. Walker Middle School and Lowell H. Strike Middle School. It has been more than four years since the District has opened a new campus. The most recent was in 2014 with the new construction of Prestwick STEM Academy in The Tribute. Huckabee and Associates is the Architect for the design of both buildings, Balfour Beatty Construction is the contractor for Walker Middle School and Cadence McShane Construction is the contractor for Strike Middle School. Little Elm ISD Board members and Daniel Gallagher, superintendent, broke ground at both locations in front of a crowd of town and city officials from Little Elm and The Colony, Little Elm First-Responders, representatives from Huckabee, Balfour Beatty, and Cadence McShane, Matthews Southwest, and the Little Elm ISD administrative team. The 194,000-square-foot buildings, scheduled to open fall of 2020, are the exact blueprint of each other and will accommodate 1,200 students in a two-story, open-concept, and flexible design. The open-style provides more visibility throughout the building while the flexible design gives students and teachers the freedom to adapt spaces based on learning needs. Take a virtual tour inside the campuses. “When considering the look of the two campuses, we wanted to design something innovative for our students and teachers to have a world-class educational experience,” said Gallagher. The total estimated cost of the construction of Walker Middle School is $68.5 million and Strike Middle School is $67.5 million. The Little Elm ISD Board of Trustees approved the price of the new schools at the December 17, 2018 school board meeting. Let's Keep in touch! Already a Tribute Resident? Click here to access our Resident Login.